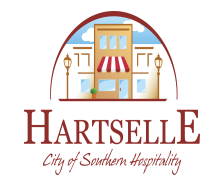 The City of Hartselle provides a fee based service to pick up household appliances, household miscellaneous items, and some construction materials. City does not pick up items that can not be disposed of or processed through the Hartselle C&D landfill. The City will pick up large household appliances, miscellaneous household items, and some construction materials or debris not produced by a contractor on Wednesday each week. (In instances where a contractor produces same the contractor shall be responsible for removal or the responsible party shall otherwise do so at his expense.) This service shall be available on a call-in basis only and is subject to placement as designated by the City. This service will be performed at a cost to the person requesting the same of $15.00 per load. No person shall place any such item for collection without notifying the City of such placement at least two (2) business days prior to scheduled pick-up. Any person who fails to pay for such service by a date specified by the City shall be denied such service thereafter until the bill is paid and shall be required to prepay for any future service. (f) Volume limits. No pile or placement of any of the materials referred to in this section shall exceed six (6) cubic yards (or the equivalent of what can be fully contained in two (2) standard one-half ton pickup truck beds without sideboards), unless by prior arrangement with the City and where a price to be paid by the owner for removal by the City has been agreed upon. The City shall have the right to refuse to remove larger loads and require the owner to cause the same to be removed himself or by contractor at the owner’s expense.